Best Rifle And Caliber for Lightweight Beginner? Discussion in 'Guns/Reloading' started by Ornage_Crush, Mar 12, 2018. I'm in the single shot camp for young shooters learning to shoot deer or squirrels or any non dangerous game. For new shooters with only one shot I'm betting their hunts will become 99% or better one shot kills. In addition the single shot is simply a safer gun for new shooters to learn on. With that in mind the Thompson Center Encore is as near a perfect rifle as there is. One can start out with a 243 barrel and then some day add a muzzleloader barrel or a shotgun barrel or a 7mm barrel or almost whatever caliber barrel one wants to shoot. If someday she switches to a heavier caliber she still has the user friendly 243 to practice with--the perfect no kick rifle when shot with ear protection it would be hard to flinch and easy to get rid of if a flinch developed shooting higher calibers. I'm not saying everyone would want a caliber larger than a 243 some day; my wife loves hers and has dropped every deer except one of her deer on the spot. The one that ran only ran about 45 yards before dropping. She has no need nor desire for a larger caliber. She simply picks her shots and aims. If you order the barrels all the same weight one can switch barrels and shoot all equally well because they will all feel the same. Note there may be other rifles that are better today that offer that same flexibility; I'm going by what has worked for my wife and I. Check out the options in rifle barrels available thru the link below. Note; when we order a new caliber barrel we also buy a new forearm but the stock and shooting mechanism from our original encore is used with all new barrels. Just think one can order a 22LR barrel for their deer rifle in the same weight as their deer barrel and practice shoot for pennies a shot and it would be just like shooting the high caliber barrel but without the loud noise, the kick or the expense. That is huge to me. All deer stories should end with And then I squeezed off the shot. Knowing there is only one shot, and having practiced with the same rifle even with a different barrel it is fairly easy to become very precise with every single shot even for those who are like me, not a naturally great shot. I have never shot a 260 but I would look into it as Drycreek mentioned as well as the other calibers mentioned by others. Bullet availability is no longer such an item today since it is simply so hard just to buy any caliber here that one should keep themselves at least five or even ten years in stock at all times. If one has a 243 or 260 or whatever and a 22LRbarrel for example, it is pretty easy to have 5,000 rounds of 22LR on hand and 100 rounds of the deer hunting caliber. That could carry one a lot of years shooting a single shot using the deer hunting rounds to shoot deer and the 22LR rounds for practicing. I don't mean to sound elite or anything expounding on the virtues of shooting single shot guns; The truth of the matter is I shoot single shots because I otherwise would be one of those guys whose deer stories don't end with "AND THEN I SQUEEZED OFF THE SHOT". I'm in agreement with this too, I just wish the Encore had a better trigger. I had to have both of mine worked on because they were too heavy. I sent them off to Bulberry Barrels and after that they were good, then found out later that Mike Bellum (sp) sells reduced power trigger springs to go in the Encores. The old Contenders had excellent triggers and were available in some deer cartridges and some were even kid sized I think. Nothing wrong with a single shot for a kid, or a grown up for that matter. I have an Encore in .280 Rem as well as a Ruger No. 1 in 25/06. Both of those have accounted for several deer, and the 25/06 has a bunch of coyotes to its credit. The 243 is about perfect for medium/deer sized game, but a 7mm-08 would be a little more versatile if she wants to eventually move up to moose , caribou, or elk. 120gr TTSX out of a 7mm-08 is a thing of beauty and the recoil is slight. Google chuckhawks recoil chart for some ideas of what calibers are soft on recoil but can deliver large projectiles at velocity. I would rank a 6.5x55 Swede or 260 above a 243, but below a 7mm-08 in terms of versatility. 243 and 7mm-08 don't have as big of a chance of being obsolete anytime soon, therfore the ammo is more readily available, and they were both listed in the top 15 us cartridges by sales in 2015. 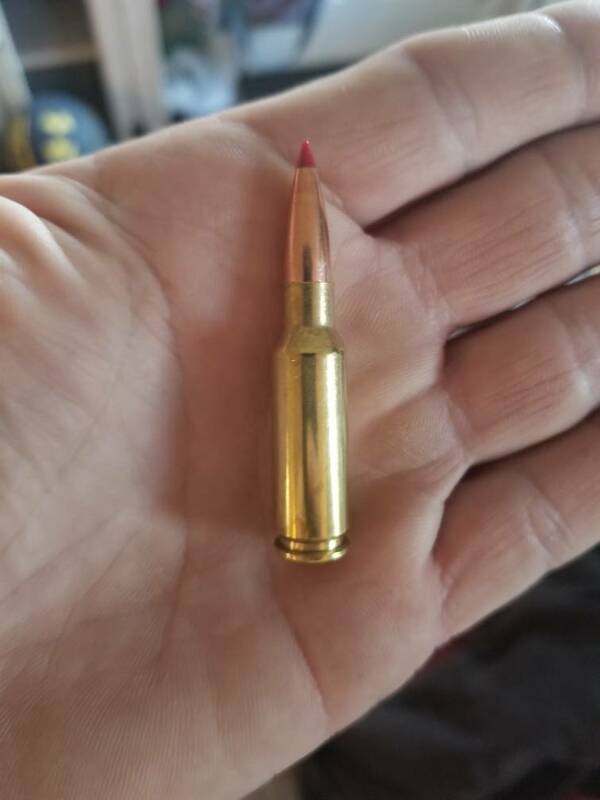 One of my friends forgot his bullets when he went to Missouri on a hunt with a .284 Winchester, which is a great modern deer cartridge but very quickly obsolete, and he couldn't find ammo anywhere in the state. In 2011 the .260 Rem was on life support with remington only chambering it in one rifle, however it's made a bit of a resurgence since then. Buying a rifle that quickly becomes obsolete would not be a good thing. I would basically agree with everything here, but my preference would be for the 7-08. You can buy reduced power loads for it also if I'm not mistaken. One thing I would like to add; the 6.8 SPC can be had in rifles other than ARs now and I've killed two axis does and a train load of hogs with mine, (up to 270 lb. ), mostly one shot kills. It's also very soft to shoot, especially in an AR 15. I use Federal Fusion 115 grain and a high shoulder shot kills them DRT. Tikka offers a compact option that is very good and would highly recommend anything they offer (especially 7-08). The Ruger American is also another great choice that it is at a lower price point. 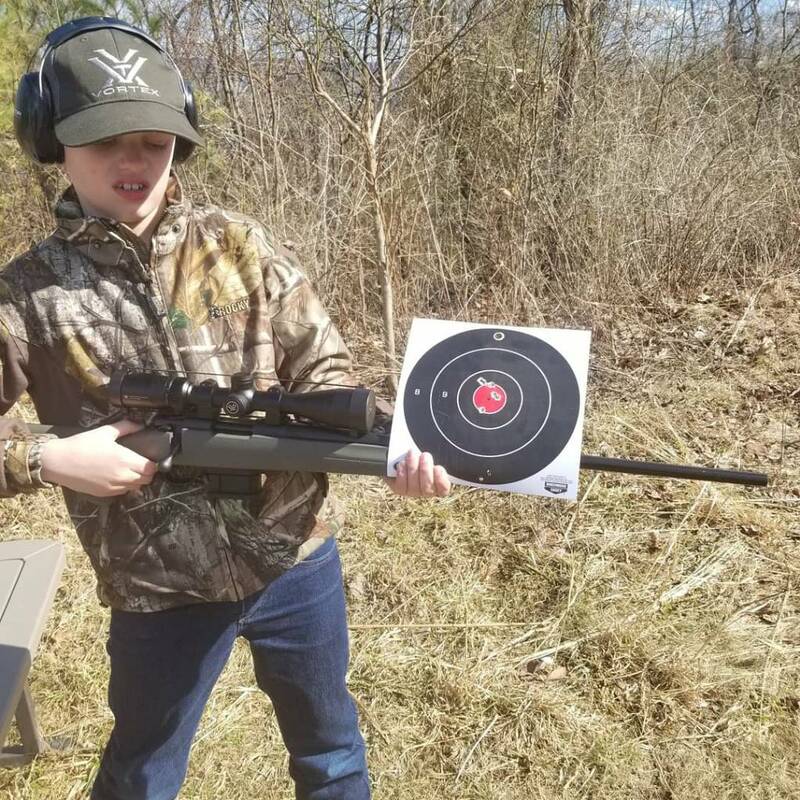 I got my 10 year old son a Howa in 6.5 grendel, love this little round so far, very accurate, and very little recoil. From the looks of that target, the deer are in trouble !